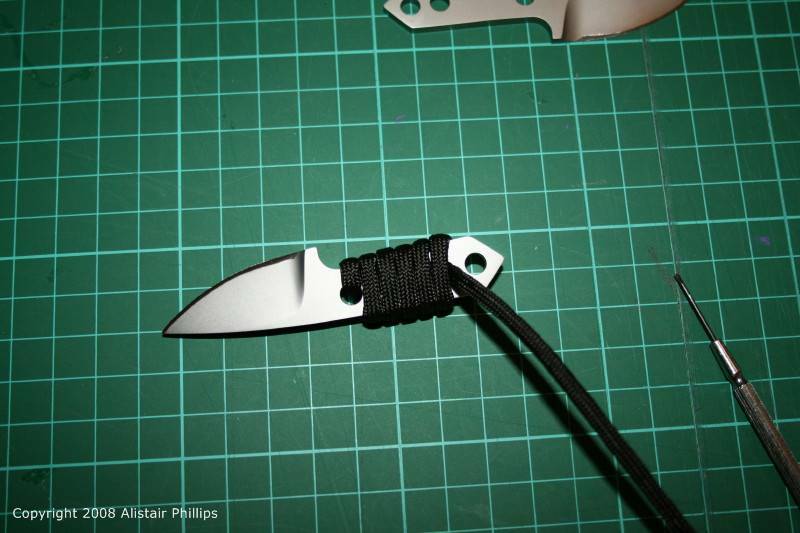 Now that the steel has been all finished up it is time to do the cord wrapped handle. 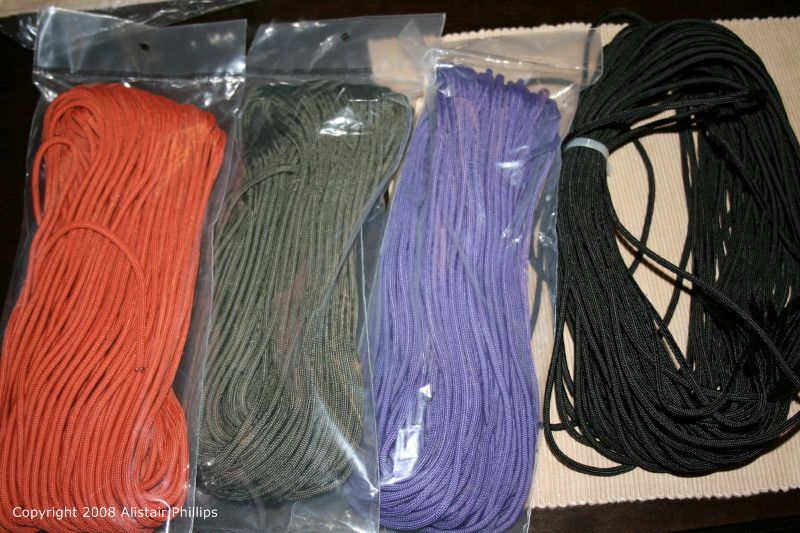 There is a decent tutorial and video on cord wrapping at Peter Atwood's site http://www.atwoodknives.com. I got a few different colours to use but I am not really happy with the orange one. I thought it would be a bit brighter so I think I will not bother used it for these knives. Here is the first one wrapped, just need to cut of the excess and melt the end. And here is the completed article. 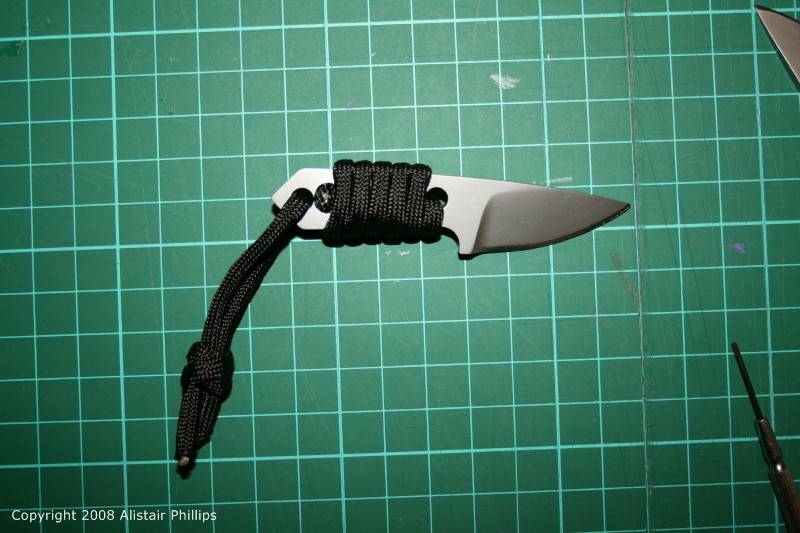 I added a little lanyard to make it a little easier to hold and to remove to the sheath once it is done. 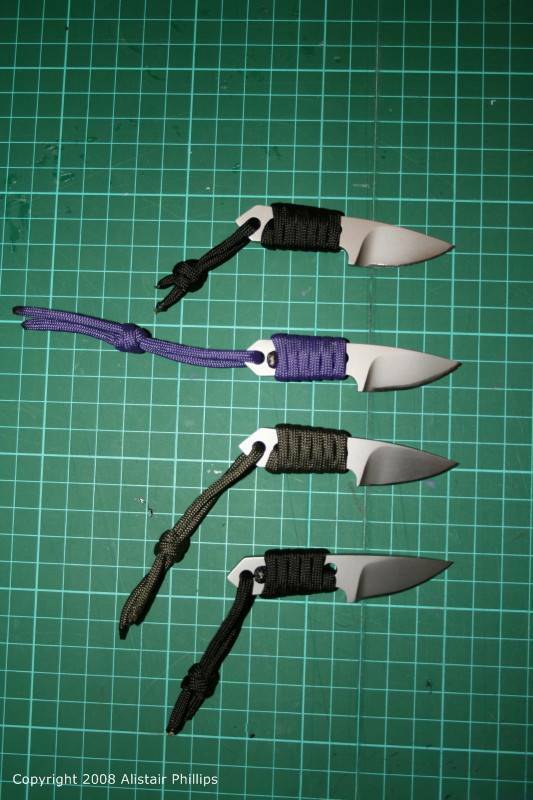 All four done with wrapped handles. Looking pretty good now.